It was recently reported in several media outlets that an HIV-positive Texas man was sentenced to 35-years in prison for spitting at a police officer. The reason? Prosecutors argued that because he was infected with HIV, his saliva constituted a “deadly weapon.” Had the man not been infected with the virus, he still would have been prosecuted for his actions, but the sentence would have been far less severe. So was this ruling justified? Is there a strong risk of disease transmission from coming into contact with the saliva of an HIV-positive person? The risk of HIV transmission through saliva alone is miniscule. Although there are trace amounts of the virus present in the saliva of an infected individual, the levels are not sufficient to pose a significant health threat. If they were, kissing an HIV-positive person would be an extremely risky behavior and there would likely be many documented cases of people contracting the virus that way. However, according to the Centers for Disease Control (CDC), HIV-transmission through kissing is “extremely rare” and the risk of contracting the virus through this activity is “remote.” In the rare instances in which HIV has been transmitted through kissing, saliva was not even the primary culprit; rather, one or both partners had open sores in or around the mouth that created direct blood contact, thereby enhancing the risk. Returning to the Texas case, the act of spitting on a police officer is not defensible any way you look at it and no one is questioning that. However, in light of the negligible risk of disease transmission through shared saliva, the sentence applied here seems rather egregious. The harsh punishment applied in this case is likely the result of archaic laws enacted out of panic when HIV/AIDS first appeared and we knew very little about the disease and how it was spread. 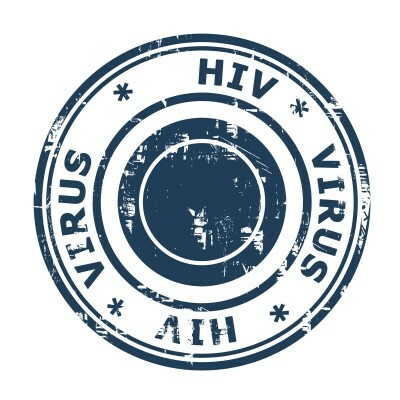 Those laws have yet to be repealed, likely because there is still so much stigma attached to this disease (e.g., many people believe that HIV-positive individuals have brought the disease upon themselves by engaging in immoral activities), not to mention a large amount of fear and misinformation. However, at some point, the laws will need to catch up with the science. For more facts and information regarding how HIV is and is not transmitted, please consult the CDC website. Are Laws Criminalizing HIV Transmission Making Us Safer?